You might think Zach Braff is a destitute hobo, the way he was begging for money on the internet last week. But no! 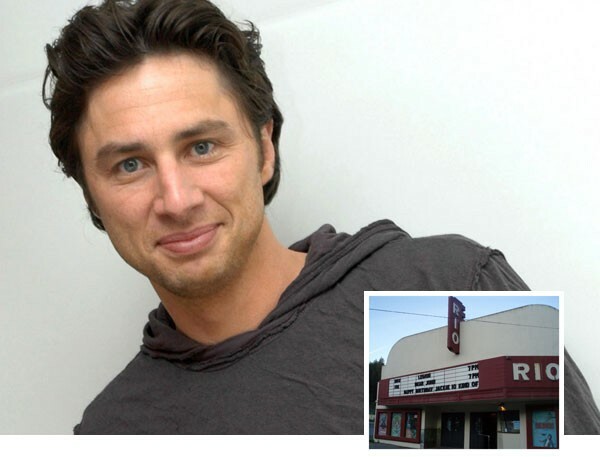 Zach Braff is in fact a very famous and wealthy actor, screenwriter, producer and director, and Zach Braff is also the donor who just pitched in enough money to save the Rio Theater in Monte Rio. That's right: the star of Scrubs and Garden State put the Rio's fundraising efforts over their $60,000 goal just today—meaning that the cutest little Quonset hut theater in Sonoma County will be able to buy a digital projector, thereby appeasing the big-movie-studio ogres and staying open to bring life and love and entertainment to the deep reaches of West County. 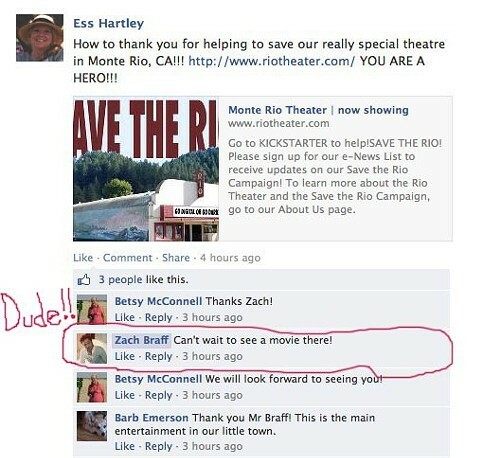 On Facebook, Braff testified about the Rio Theater that he "Can't wait to see a movie there!" 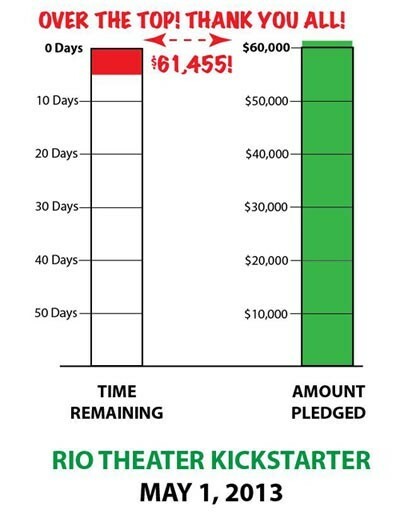 May the Rio last another 63 years or more—and you can bet that sometime soon, they'll be showing Braff's upcoming film, Wish I Was Here.